This cake is delicious! 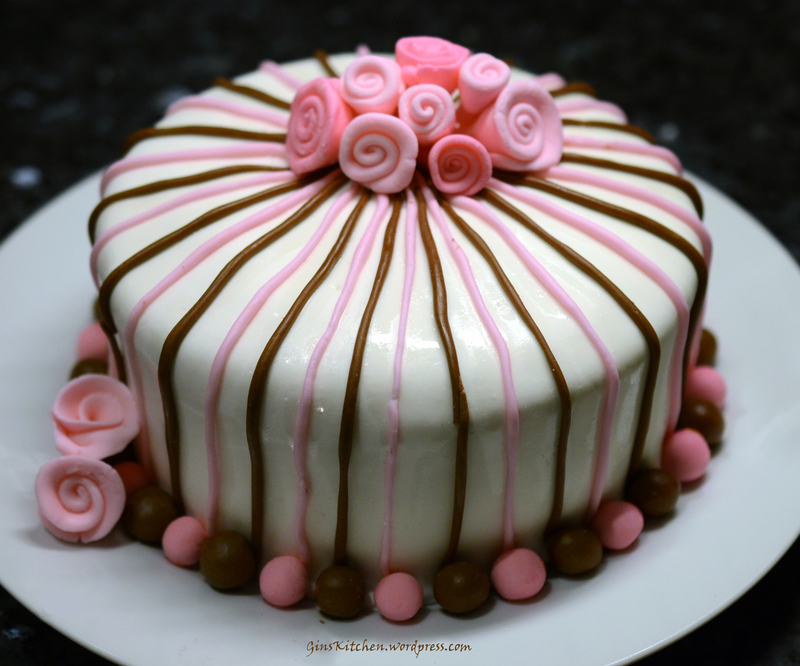 The cake itself is very easy to bake (it’s just a box of cake mix), but making the marshmallow fondant and decorating the cake, it is quite time consuming. To stablize the cream, you will need to add a tablespoon of vanilla instant pudding and whip for 1-2 mins. Dust your counter or a large cutting board with powdered sugar. Place marshmallows and water in a large glass bowl, microwave on high for 1 minute, until the marshmallows are puffy and soft. Stir the marshmallows with a spatula. If there are any unmelted marshmallow pieces, return to the microwave for 30 seconds until the marshmallow mixture is entirely melted and smooth. Add 1/2 pound of powdered sugar and stir with the spatula. Stir until the sugar begins to incorporate. Scrape the marshmallow and sugar mixture out onto your work surface. It will be very sticky, keep adding sugar. Dust your hands with powdered sugar, and begin to knead the fondant mixture like bread dough, keep adding the remaining sugar. Continue to knead the fondant until it smoothes out and loses its stickiness. Add more sugar if necessary. Once the fondant is a smooth ball, it is ready to be used. 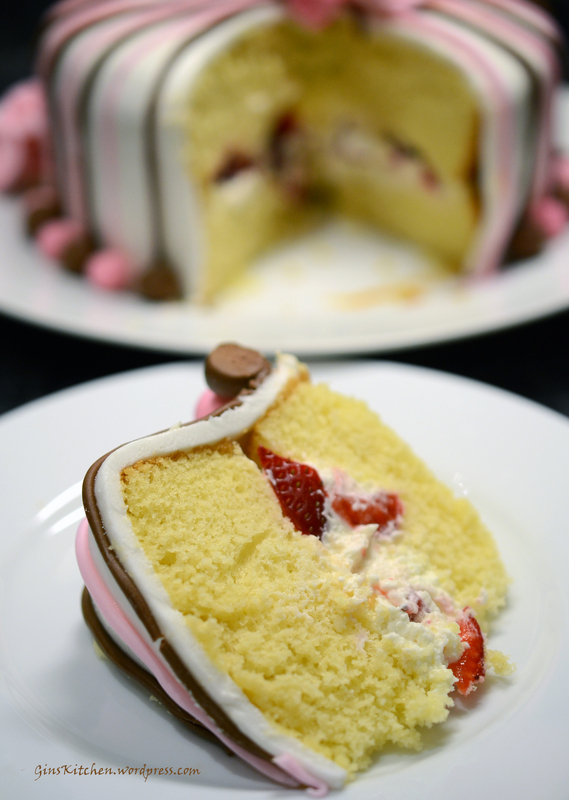 You can now roll it out, shape it or add food coloring. If you want to add coloring or flavoring to your fondant, flatten it into a round disc. I recommend using gel food coloring instead the liquid food coloring. You might want to wear gloves to avoid getting food coloring on your hands during this step. Add your desired amount of coloring or flavoring to the center of the disc, and fold the disc over on itself so that the color or flavor is enclosed in the center of the fondant ball. Begin to knead the ball of fondant just like you did before. As you work it, you will begin to see streaks of color coming through from the center. Continue to knead until the streaks are gone and the fondant is a uniform color. If you browse a recipe for Apple Turnovers, there will be many different ones. You will just need to find one that suits your taste. I like this one as the walnuts give it a nice touch. Also, instead of buying puff pastry sheet, I made the crust (pâte brisée dough -receipe from Simplyrecipes.com) from scratch which was not hard at all. My first try was a great success. Pre-heat oven to 400°F. Butter the baking sheet. In a skillet, mix together apples, walnuts, sugar, cinnamon, and corn starch, add apple sauce and vanilla, bring to a boil over medium heat, stir constantly for 5-10 minutes or until apples are tender. Roll out Pâte brisée dough on a lightly floured surface and cut into six 5×5-inch squares. Divide the apple mixture among the squares, leaving a 1-inch border. In a small bowl mix the beaten egg with a teaspoon of milk. Use a pastry brush to brush the egg mixture on the border of the pastry. Fold each pastry into a triangle, enclosing the filling, and crimp edges with a fork. Brush the tops of the pastries with more of the egg wash. Poke 2 or 3 small steam vents in the top of each turnover. Place the pastries in the oven and bake at 400°F for 20 minutes, or until puffed and golden. 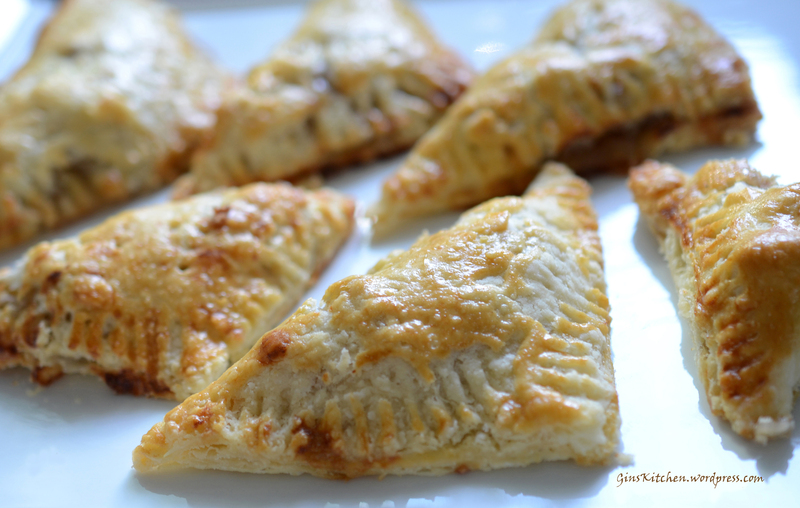 Cool turnovers to warm before serving.